Millennials on average are saving for retirement at a rate similar to Gen Xers and baby boomers, a T. Rowe Price study found. T. Rowe Price recommends saving 15% of salary, including company match, in a 401(k). Millennials on average are saving for retirement at a rate similar to Gen Xers and baby boomers. According to T. Rowe Price’s Retirement Saving and Spending study, the millennial participants’ personal deferral rate to their 401(k)s is not far off from those in older generations. Baby boomers, on average, contribute 9% of their personal income to their 401(k)s, compared with 8% among Gen Xers and millennials. The study included a representative national survey of 3,026 working adults 18 and older that are contributing to a 401(k) plan or eligible to contribute and have a balance of at least $1,000. This sampling included about 1,500 millennials. Also, notably, more millennials than any other generation in the study have raised their contributions in the past year. 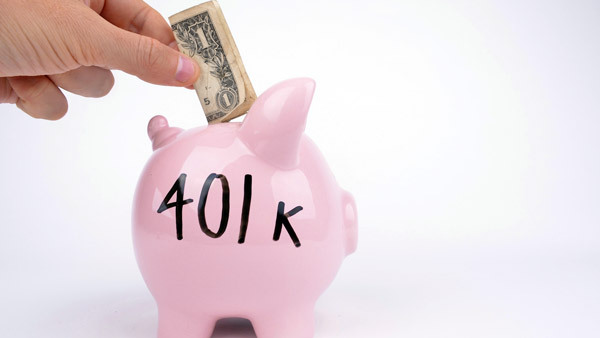 When asked how the current percentage of income contributed to their 401(k) compared to the past 12 months, 40% of millennial workers said their 401(k) contribution was higher now, compared to 21% of baby boomers and 30% of Gen Xers. “It’s nice to hear that [millennials] are saving … because we hear that the millennial generation is financially illiterate. So, they are trying to do the right thing,” said Judith Ward, senior financial planner and vice president of T. Rowe Price Investment Services, during a media briefing in New York on Wednesday. Perhaps, some of millennials’ saving mentality is correlated to their lack of expectations of Social Security. Ward also attributes some of millennials’ savings patterns to automatic services, like auto-enrollment and auto-deferral rates. “I think the auto services has really helped this group as they’ve been one of the first generations to have access of all of these auto services that are in many plans now,” Ward said. T. Rowe Price’s study asked workers with 401(k)s if they made the decision to enroll in their current 401(k) plan or if they were automatically enrolled with the choice to opt out, and a higher percentage of millennials reported auto-enrollment. Of the millennial workers with 401(k)s, 20% reported being auto-enrolled, compared with 13% of Gen Xers and 14% of baby boomers. Across all workers that reported being automatically enrolled, the average said they were automatically enrolled at a 3% contribution rate. That is a far cry from where Ward would like to see workers contributing. T. Rowe Price’s study points out that not all millennials are saving at 8% or even 3% — some aren’t saving at all. In another portion of the Retirement Saving and Spending study, T. Rowe Price surveyed 255 millennials (age 18-33) that are working and eligible for a 401(k) plan but are not contributing and do not have a balance — aka eligible non-participants. Interestingly, 68% of the millennials eligible but not contributing to a 401(k) plan are women. The study attempts to find out why those workers aren’t saving. Of the eligible millennials not contributing to their 401(k), 42% received no raise in the past year. That’s much higher than the 18% of contributing millennials who didn’t get a raise. The millennials who aren’t contributing to a 401(k) also have more student loan debt than the millennials who are contributing to a 401(k). The study finds that the median student loan debt load among millennial workers active in 401(k) is $16,000, compared with $22,000 among eligible millennials not contributing. Debt seems to be a big factor. When asked the reasons why they’re not contributing, 42% of the millennial eligible non-participants said they were paying back debt other than college loans, and 35% said college loans.